I – VIR, Inbec, Ind, Indease, Indivan, Indivan -400, Indivir, Virodin, Sebivo, Bevac (0.5 ml), Bevac (1 ml), Bevac (10 ml), Bevac (5 ml), Biovac B (0.5 ml), Biovac B (1 ml), Biovac B (10 ml), Engerix (paed), Engerix B, Engerix B (10 ml), Enivac HB, Enivac HB (0.5ml), Enivac HB (10 ml), Enivac HB (2ml), Enivac HB Paed, Enivac HB Safsy, Enivac HB Safsy (1ml), Genevac B (1 ml), Genevac B (10 mcg), Genevac B (20 mcg), Genevac B (5 ml), HB Vac (0.5 ml), HB Vac (1 ml), HB Vac (10 ml), Hepagen Plus (10 mcg), Hepagen Plus (20 mcg), Hepagen Plus (200 mcg), Hepashield (0.5 ml), Hepashield (1 ml), Hepashield (10 ml), Heppacine B, Invac B, Invac B (1 ml), Invac B (10 ml), LG Euvax B, LG Euvax B (1 ml), LG Euvax B (10 ml), LG Euvax B (5 ml), PFU SYS, PFU SYS (1 ml), Revac B, Revac B (0.5 ml), Revac B (1 ml), Revac B (10 ml), Revac B (10 ml) (Bharat), Revac B Pead (0.5 ml), Shanvac B (0.5 ml), Shanvac B (1 ml), Shanvac B (10 ml), Shanvac B (2 ml), Shanvac B (5 ml), Shanvac B (PFU Sys 1 ml), Shanvac B (PFU Sys), Unihep B (0.5 ml), Unihep B (10 ml), Emduo 30, Emduo 40, Emduo E 30, Emduo E 40, Emduo Junior DT, Emduo Susp, Haptavir(100mg), Hepavud, Hepitec, Hepravir, Heptavir, Heptavir (150 mg), Hivir, Hivir (150 mg), Ladiwin, Lamda, Lami, Lami (150 mg), Lamidac, Lamidac -100, Lamistar, Lamistar 40, Lamistar 40 (150 mg), Lamivir, Lamivir (100mg), Lamivir (150 mg), Lamivir -150, Lamivir HBV, Lamivir S (30 150), Lamivir S (40 150), Lamivox, Lamivox (150 mg), Lamivudine, Lamivudine and Zidovudine, Lamostad (30 150). 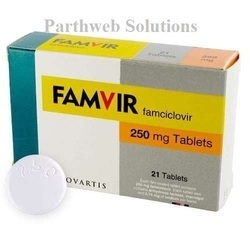 Famvir 250mg tablet is used to treat certain types of viral infections. It treats shingles caused by herpes zoster virus. 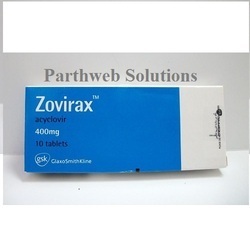 Zovirax 400mg tablet is used to treat certain types of viral infections such as genital herpes infection, chickenpox. It prevents the multiplication of the virus in human cells thus it stops the virus from producing new viruses. 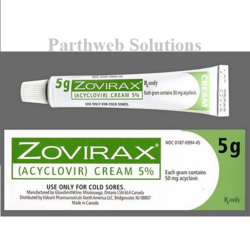 Zovirax eye ointment is used to treat eye infections by herpes simplex virus. It prevents the multiplication of virus in human cells thus it stops the virus from producing new viruses.